"Far to the north, in the cold and snow, sits a small region of friendly people who work together to survive, to get to know each other, to make friends, and ultimately to propel this forsaken land to glory!" Greetings! 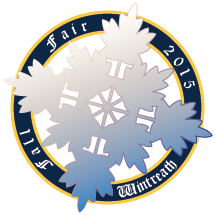 I am happy to welcome you to Wintreath's booth here at the INWU festival! First a little bit about us, the region has been going for about 2 years and it was founded by our reigning monarch Wintermoot, he has overseen the region since it's inception and continues to look after it today. We are a diverse, fun and inclusive region with many different kinds of people and many things to offer. Running our booth here at the festival is me: Hannah, the current Jarl of Information in Wintreath, several members of the community should be joining me though, like our Jarl of Culture, as well as a few other members here and there. Through-out the festival we hope to be providing you with lots of entertainment here at our booth, while everything we will be offering won't be around immediately, this place will soon be bustling with all kinds of amusements! We hope you enjoy your time here, and we hope that everyone has a great time here at the fair! Have fun!